#BijouStarFiles: Keyshia Cole Sentenced To 30 Days In Jail?! Wow Keyshia Cole may be going to jail for 30 days for something she did 10 years ago! 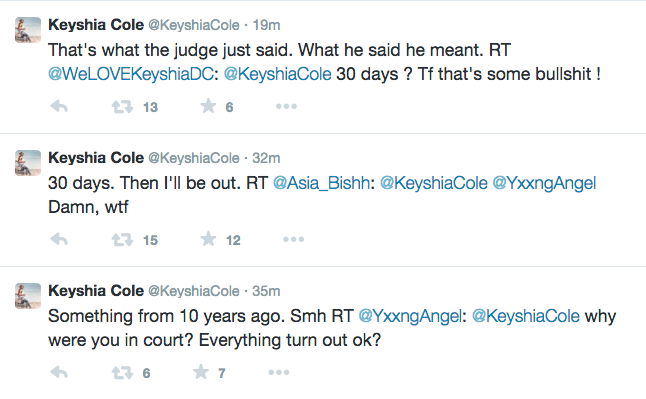 Looks like Keyshia Cole is going to be gone til…February? For some reason Key Key is going to the county bing. For some reason, she did something about 10 years ago and is going to jail for 30 long days. Hopefully she doesn’t get shanked or something. I wonder if it was because she put them paws on some chick?